This coin is made of silver-plated copper with a diameter of 42 millimetres and a weight of 32.82 grams. In a reverse design by Three Degrees Creative Group that features layers of auspicious symbolism, 13 bamboo-inspired vertical tiers are engraved with 100 variations of the word “fu,” which means “good fortune.” The highly polished surface is anchored with a symbolically rich red coloured square on the upper right side of the reverse featuring the Chinese character “fu.” The image is framed by an outer raised edge engraved with a striking stylized design. The obverse features the effigy of Her Majesty Queen Elizabeth II by Susanna Blunt. 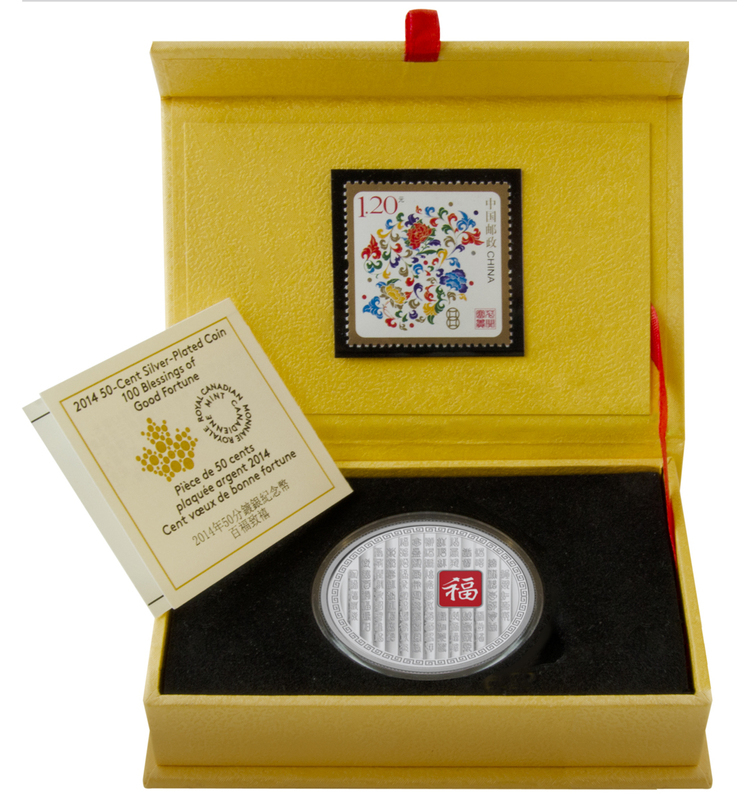 This stamp and coin set, blending stunning design and millennial Chinese symbolism, is the perfect way to welcome a new Lunar Year. The presentation box is embossed with the red auspicious character “Fú” (福) that brings luck and good fortune to any household. 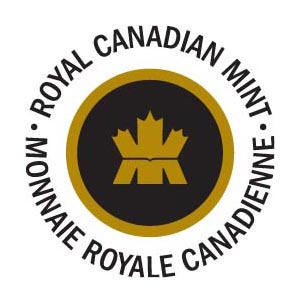 On the reverse of the coin, Three Degrees Creative Group created a fitting design that features layers of auspicious symbolism. Red-painted detail complements the coin’s hand-polished surface, while adding another layer of symbolism to the blessing of good fortune. The stamp image depicts a colourful pattern, much like Chinese paper-cutting art that decorate doors and windows during the Lunar New Year. It is framed by an outer raised edge engraved with a striking stylized design. 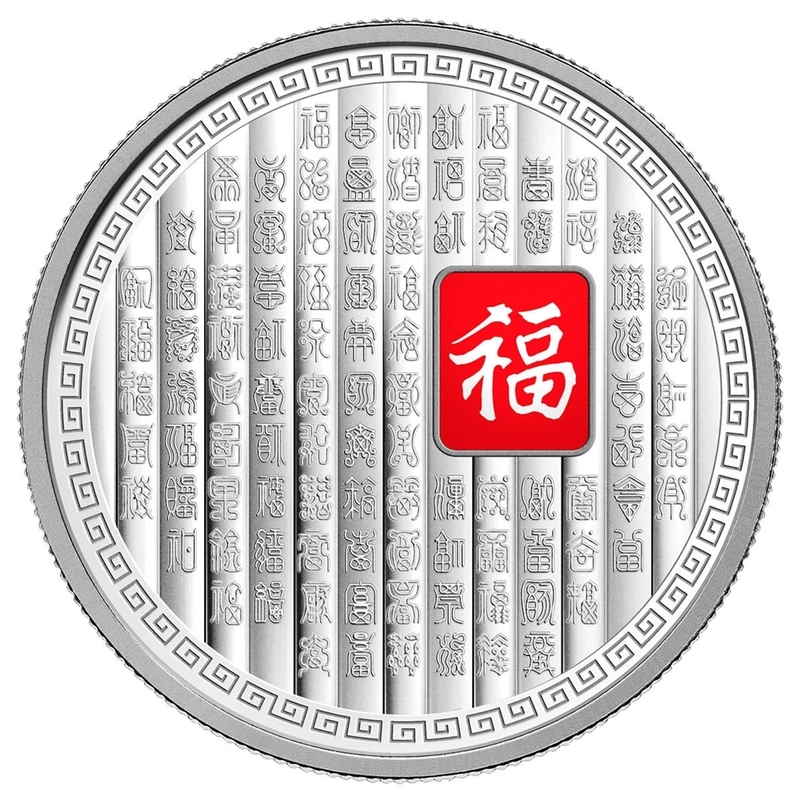 This silver-plated coin offers blessings of good fortune while celebrating the unique heritage of Canada’s strong and vibrant Chinese communities. Good fortune comes in 100 guises, at times soaring in a cloud of health and prosperity, at times travelling alone. In all of its many forms, may good fortune come to you. Luck arrives where it is welcomed, it pours in from all directions. Like the earth, it comes back to life after even the darkest winter. May abundant happiness reveal itself to you in the progress of each year, in the joy of blessed new unions, in the challenge of rewarding work, in lucky smiles, in the bounty of gaining that which you wish and work for in life. I bless you with wishes of good fortune—may you find your heart’s desire and may your endeavours yield that which will make you happiest. Happy and prosperous I will be indeed, filled with joy overflowing, to see good fortune come to you and your home.